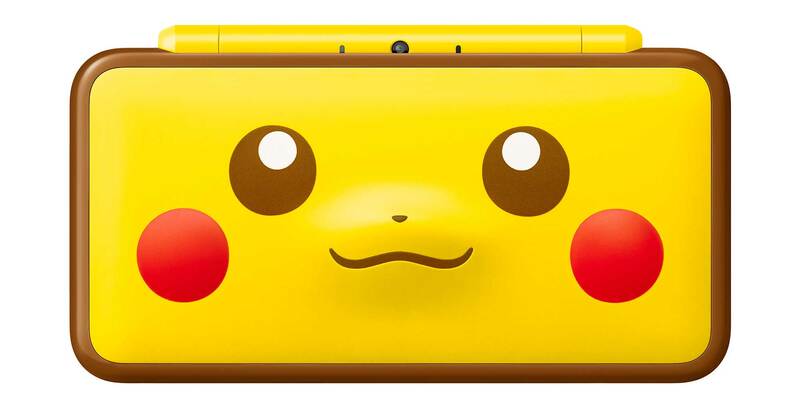 Nintendo has announced a New Nintendo 2DS XL system featuring a Pikachu-themed design. The new system, which sports a stylized close-up of the Pokémon mascot’s face, will release on January 26th and cost $209.99 CAD. This is the second Pokémon-themed New 2DS XL system to be released, following the launch of a Pokéball edition in November. The new Nintendo 2DS XL is a larger version of the 2DS system that plays all of the same games as the 3DS, only without the latter system’s autostereoscopic 3D functionality. As part of the ‘new’ family of Nintendo systems, the new Nintendo 2DS XL also features a faster processor than the original 3DS and 2DS systems, as well as additional buttons for extra controls and a built-in NFC reader for amiibo figures. For more on the new Nintendo 2DS XL, check out MobileSyrup‘s review. That’s not the only Pikachu-related news, however. Nintendo has also confirmed that Detective Pikachu, a 3DS adventure game featuring a speaking, snarky version of the popular Pokémon, will finally be making its way to North America this March. The game first released in Japan in February 2016 and has since gone on to inspire a film adaptation of the same name, with Vancouver-born actor Ryan Reynolds set to voice everyone’s favourite electric mouse. On the mobile game front, players of Pokémon Go will also be able to take part in Pikachu-centric events later this month.